Ever get the feeling that grills just don't last as long as they used to? While construction quality certainly has something to do with that, there are several factors that can dramatically reduce the lifespan of your grill. Some of these are things you might not be able to do anything about, but avoiding these problems and keeping your grill clean will do a lot to extend the life of your grill. 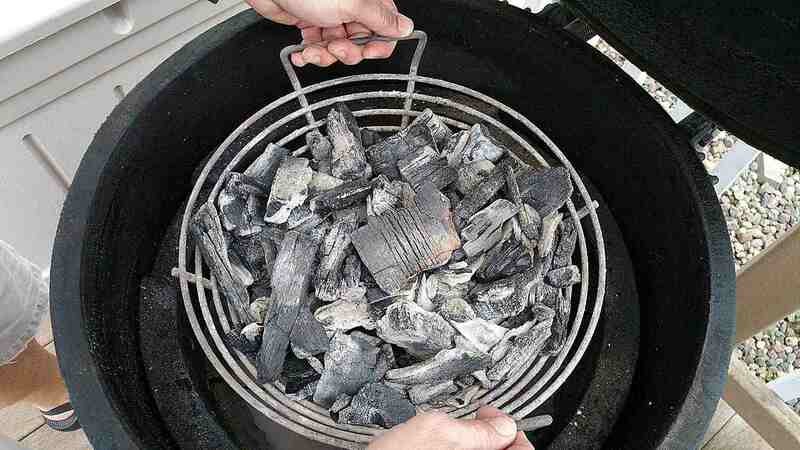 Whether charcoal or gas, a lot of "stuff" accumulates in the bottom of a grill and even if it is swept out from time to time, "stuff" remains behind. Ashes from burnt charcoal, food, sauces, marinades, sitting in contact the metal of a grill can quickly and easily eat through it. Cleaning your grill doesn't mean turning the burners on high for 10 minutes or dumping out the ashes. It means actually cleaning it. Think about it this way, a grill, no matter how much you paid for it, is a cooking appliance. Look at all the appliances around the kitchen and think about how clean they are compared to the grill on the porch. A grill should be cleaned regularly and oiled to prevent rust. Though lawn fertilizers are primarily nitrogen, phosphorus, and potassium, they typically also contain ammonium nitrate, sulfur, and chlorine. These corrosive agents can eat through any metal (even stainless steel) if mixed with water and allowed to sit around for a while. Typically, fertilizers will only come in contact with the exterior of a grill, but it can cause real damage. Make sure to keep the grill covered and away from areas being fertilized. When the fertilizing is done, it wouldn't hurt to rinse off the grill surface. Salt is destructive to metal. A lesson learned if you live close enough to the ocean for the salty breezes to reach you. Simply put, living near the ocean will greatly reduce the lifespan of any grill. Of course, higher quality, 304 or 316 stainless steel grills are far more resistant to corrosion, but even these can suffer the effects of salt in the air. Keeping the grill covered and clean can help, but living by the ocean is simply going to take vigilance. Regularly inspect your grill (always good advice) and if rust is found, clean it off completely before applying an oil coating. Keep the inside of the grill clean and oiled at all times, and try using an auto wax on surfaces that do not heat up to reduce corrosion. Any good marinade has a base of acid to tenderize and flavor. Soak a cut of meat in a marinade for a few minutes or several hours and unless it is rinsed and dried, some of that marinade is going to be making its way into the grill. Of course, washing off a marinade defeats at least part of the process, so acidic marinade is going into the grill, and even hot, that acid is going to hit the metal and accelerate the corrosion process that all metal is subject to. The chemicals used to keep the water in a swimming pool clean and clear, are chlorine and bromine. These chemicals can form corrosive agents that will eat through the metal of a grill. The big problem is that these chemicals rise from the pool water in a vapor, setting on the surfaces and get to the insides of a grill. Even a high quality grill can see half of its lifespan lost if placed too close to a swimming pool. While cleaning the grill can help, the constant exposure to these chemicals is going to corrode the metal. Try placing your grill away from the pool and if possible up wind, so that the chemical vapor stays away. Chemical de-icers contain a number of corrosive agents. Even plain rock salt will corrode metal. If ice melt solutions come in contact with a grill in sufficient amounts during the winter, you might find yourself looking for a new grill by spring. If a grill is going to be packed away for the winter, it needs to be placed in a protected location (propane tank disconnected and stored separately) where it won't come in contact with ice melt. If a grill is going to be used during the winter it should, similarly, be covered and placed where you will not be using de-icing chemicals. Of course, you can use natural ice melts which will greatly reduce the risk of corrosion (and won't kill the lawn). Did You Know Grilling Was an Important Part of Modern Irish Tradition? Did You Know the Wrong Grill Brush Could Put You in the Hospital?